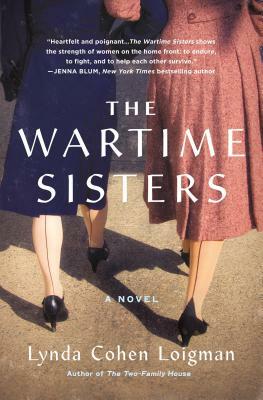 Join us at Book Culture on Columbus as Lynda Cohen Loigman celebrates the release of her new novel, The Wartime Sisters, on Tuesday, January 22nd at 7pm! Bestselling author Fiona Davis will be joining Lynda in conversation. Fiona Davis is a USA Today bestselling author of historical fiction set in iconic New York City buildings. She first came to New York as an actress, but fell in love with writing after getting master's degree at Columbia Journalism School. Her books have been translated into over a dozen languages and her latest, The Masterpiece, was a LibraryReads and TheSkimm Reads pick. She's based in New York City.